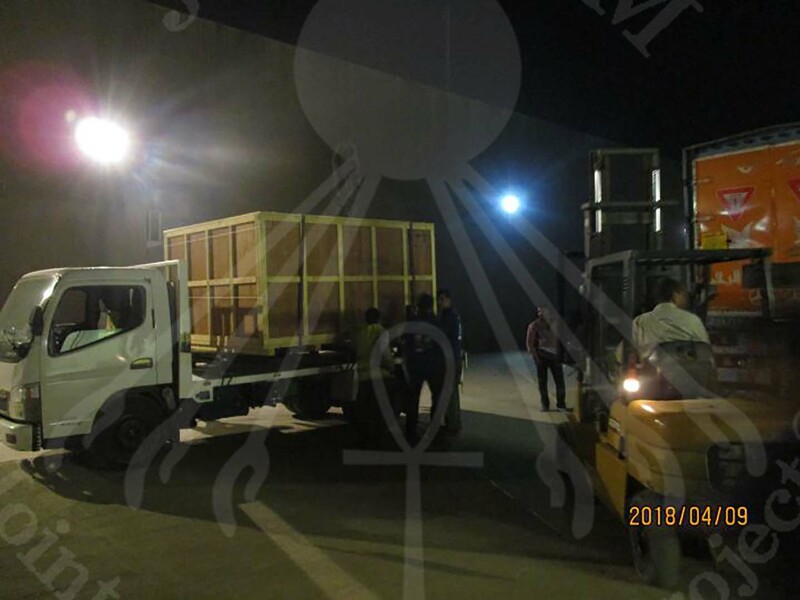 The team of the Grand Egyptian Museum Joint Conservation Project (GEM-JC Project) completed the transportation of King Tutankhamun’s 4th Chariot on 10th April 2018. 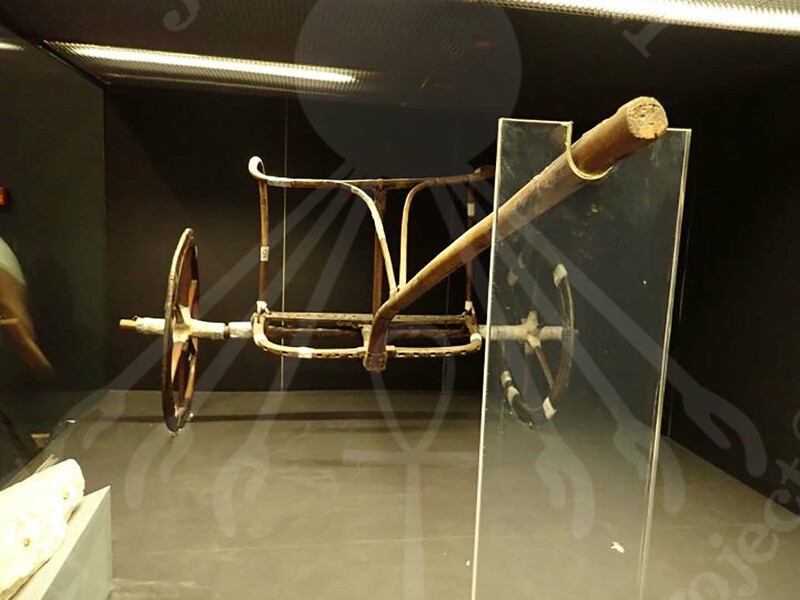 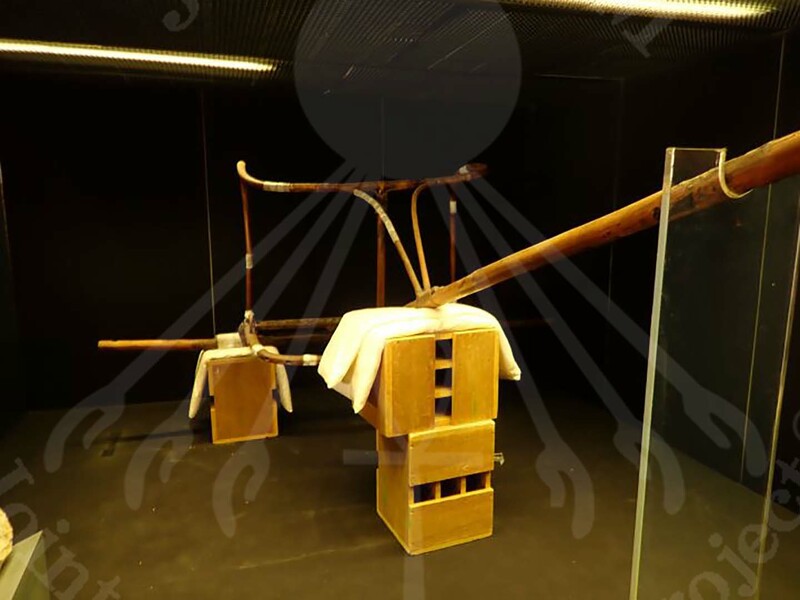 The Chariot had been exhibited at Luxor Museum, which made the transportation team concerned about the timing of the transportation due to the sudden climate changes that happen in Springtime in Egypt. 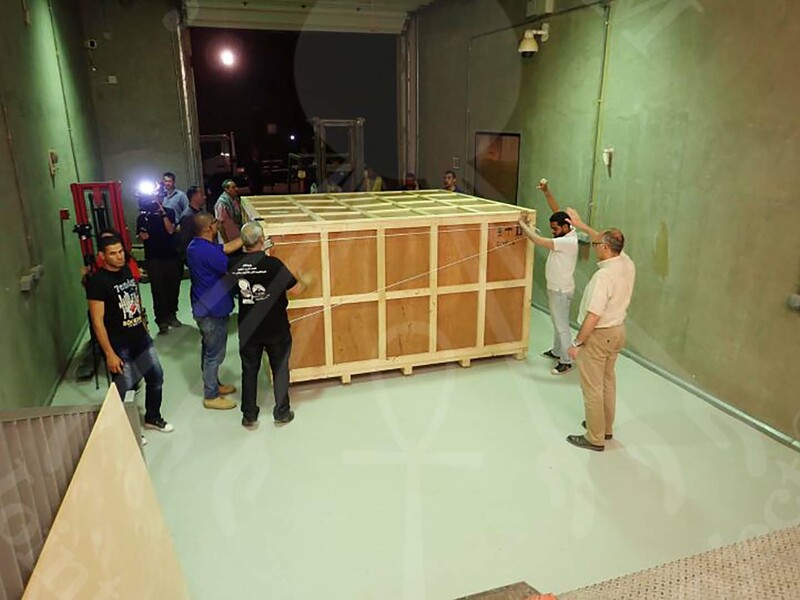 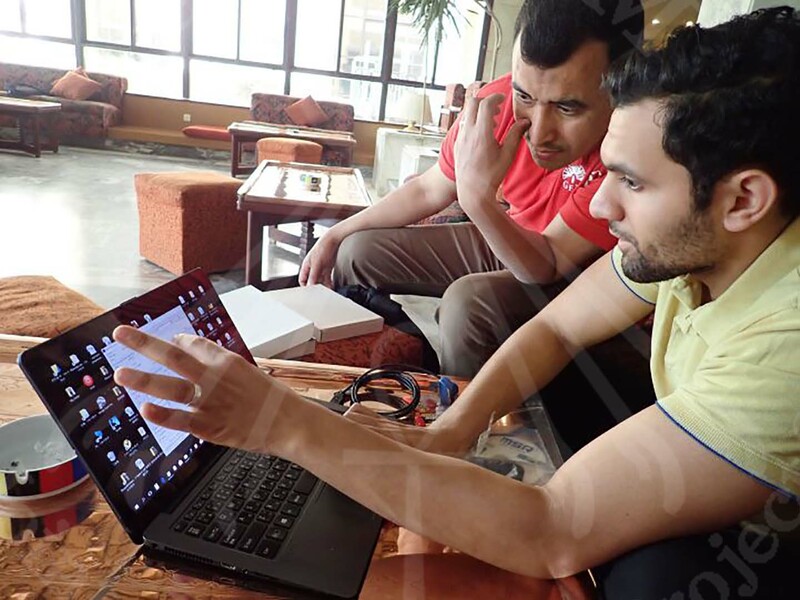 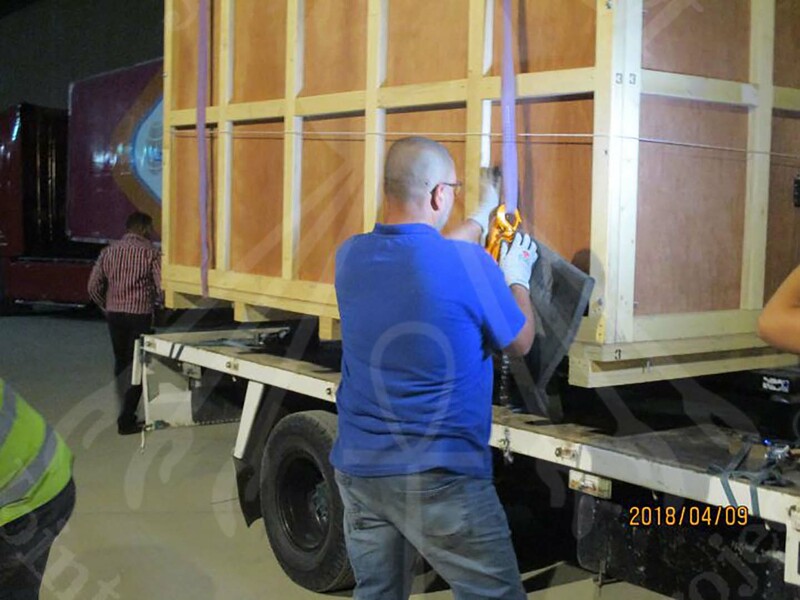 However, the transportation team made a thorough plan regarding the packing and the safe transportation of the artifact, before transporting the Chariot safely to the Grand Egyptian Museum (GEM). 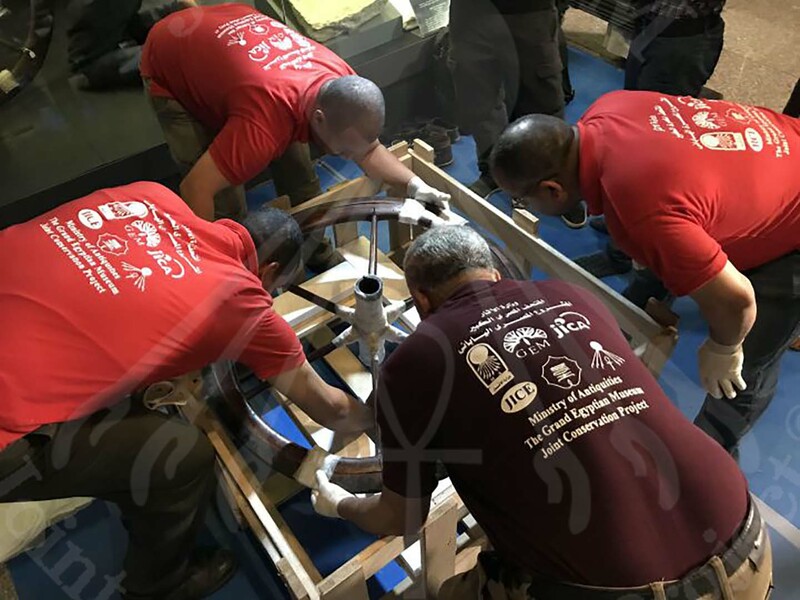 Once the Spring Holiday ends, the team will start unpacking the Chariot in the Grand Egyptian Museum Conservation Center (GEM-CC) and further diagnostic analysis will be conducted on the Chariot before starting its conservation. 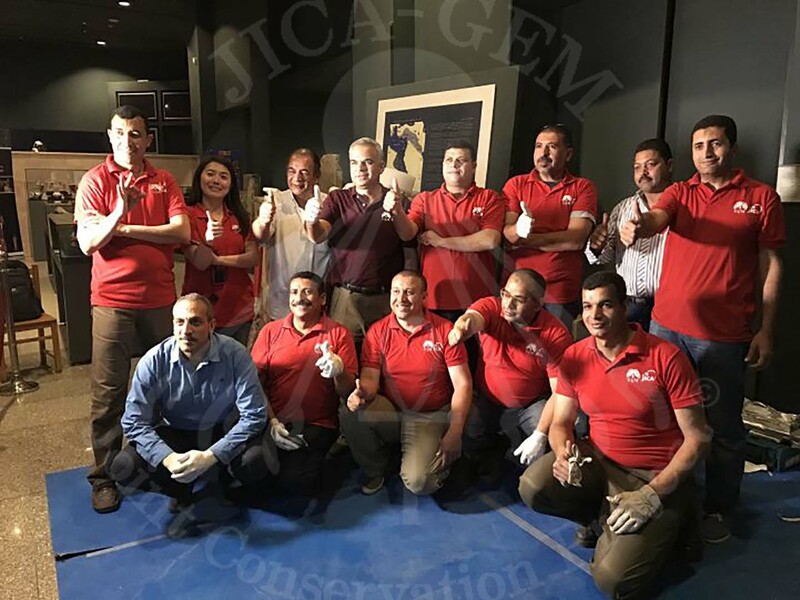 The GEM-JC Project is a joint project run by the GEM, Ministry of Antiquities and Japan International Cooperation Agency (JICA). 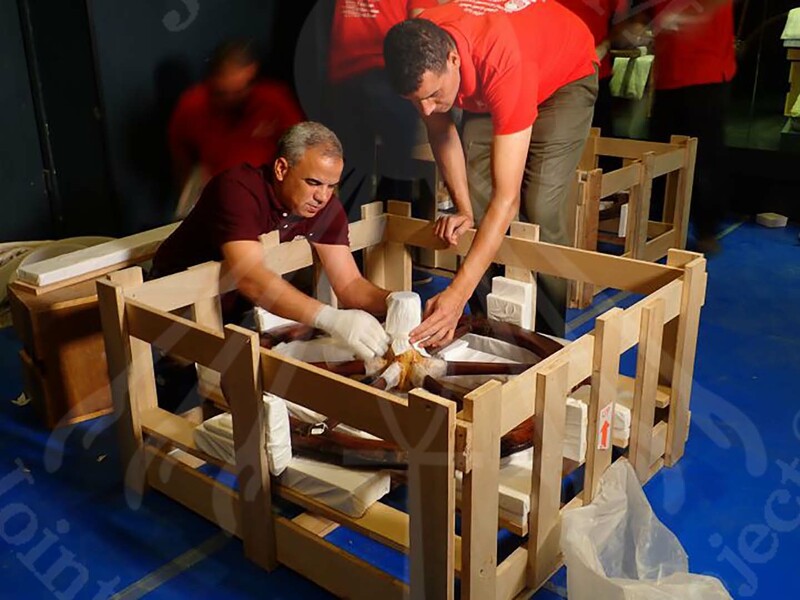 In this project, Egyptian and Japanese experts jointly implement technical cooperation for conservation of 72 target artifacts which will be transported to and exhibited in the GEM. 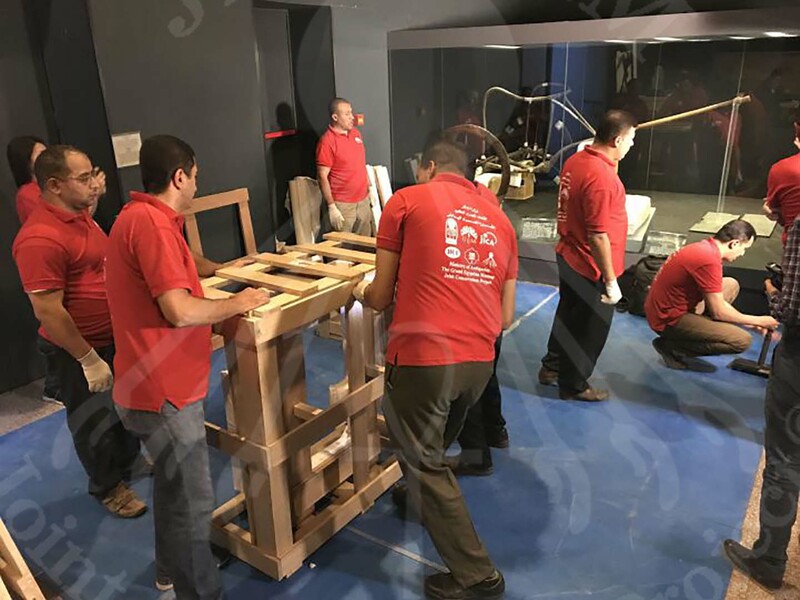 These items were selected according to their importance for the opening of the GEM and suitableness for technical cooperation. 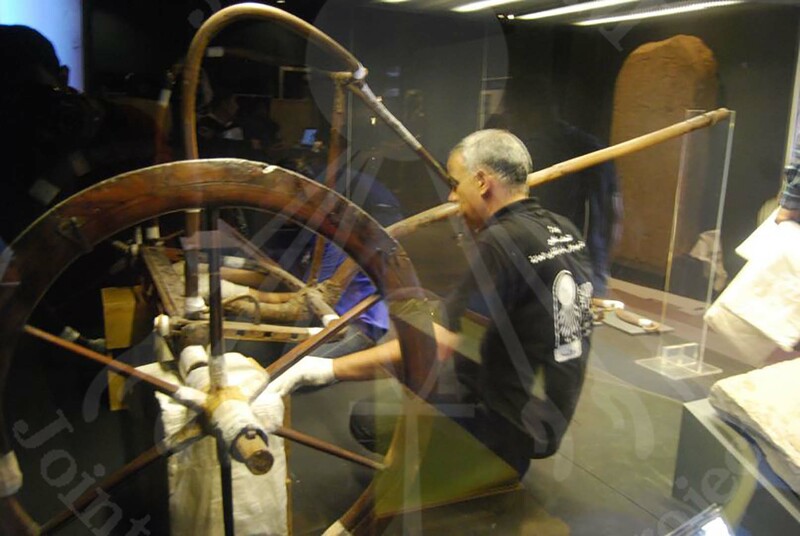 The project’s overall goal is that the GEM-CC to conduct conservation and research activities as a central institution for conserving cultural heritage in Egypt and to ensure the proper conservation of artifacts in future exhibition in the GEM. 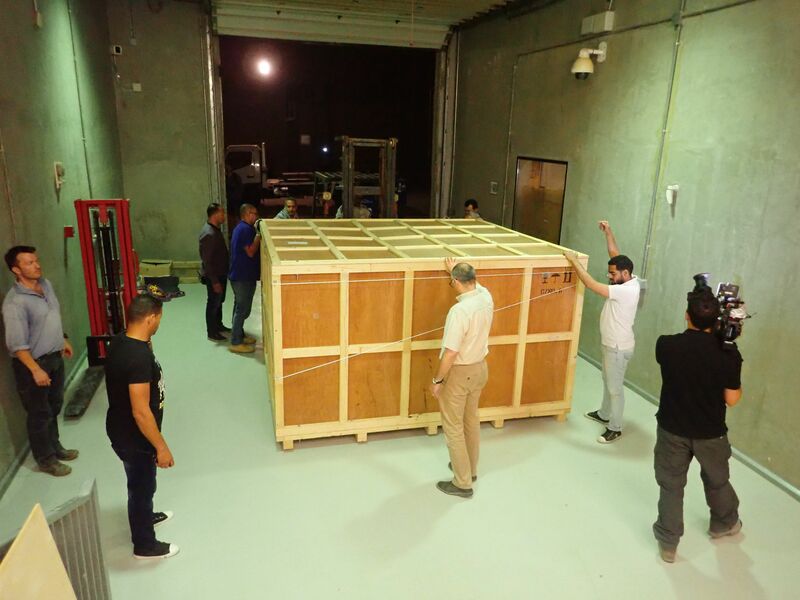 This project began in November 2016, and the Japan International Cooperation Center (JICE) and Tokyo University of the Arts (TUA) formed a joint venture (joint enterprise) and dispatched about 40 Japanese experts.